This Page is automatically generated based on what Facebook users are interested in and not affiliated with or endorsed by anyone associated with the topic. So everyone can rest easy. 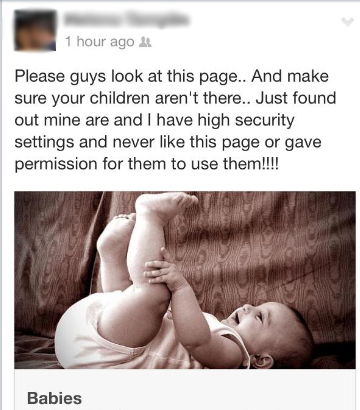 In this case people aren’t swiping baby pictures and using them to populate random pages. 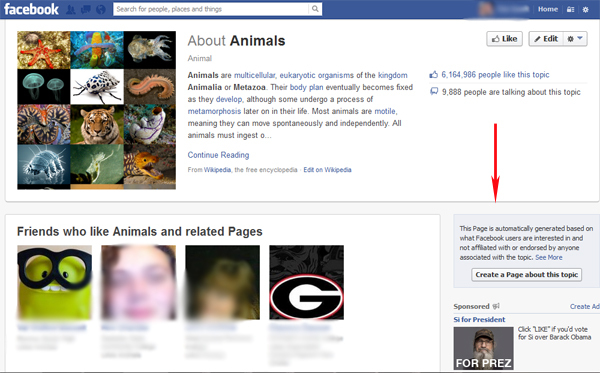 It is important to make sure that your privacy settings are set appropriately for everything you share on Facebook. Of course, if someone sets the sharing options of an image of their child to public, then it would be very easy for it to be stolen and show up anywhere online. We recommend setting everything that you can to ‘Friends Only.’ This post highlights the dangers and the potential privacy exposure by just sharing with Friends of Friends.